Join our team! Work in a beautiful and dynamic environment. Contribute your enthusiasm, skills, and experience to engage audiences at Utah’s first museum for the visual fine arts. 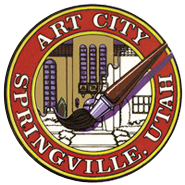 Any employment opportunities for the Museum can be found here through Springville City. Learn more about our unpaid internship and volunteer opportunities.